This is the oldest but one of the most effective tricks in the book. 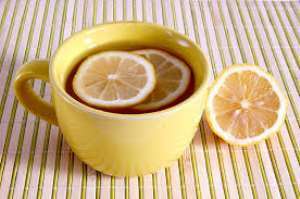 Adding lemon to warm water and drinking it in an empty stomach in the morning not only helps in detoxing your body but also boosts your metabolism as well. This combination is known to have ayurvedic qualities, aiding in your digestion as well. This has become one of the most popular combinations of detox waters since it is not only associated with detoxification but also helps with fitness. This is a powerful combination of nutrients vitamins and minerals, which helps in optimizing your immune system and metabolism as well. Every ingredient in this drink has a very specific role to play. It has grapefruit in it that releases enzymes that burn fat, along with lemon and ginger that helps you get rid of toxins and the cucumber in the solution reduces unwanted water retention in your body. This mixture of apple, star anise and cinnamon in water is not only delicious but also looks great. It is an excellent drink for detoxing and also helps in digestion after a heavy meal. Cinnamon brings in qualities which are extremely good for your heart and brain. It also gives a positive effect towards your metabolism and works towards regulating blood glucose level . Anise is good for digestion and also helps in fighting insomnia.